With Zerena, Bernafon has introduced a new algorithm called Dynamic Amplification Control™ (DAC™). After the development, integration and validation of this new technology, another chapter begins: explaining what the system is about, how it works, and how it should be used by writing papers that cover all of these different aspects. This is quite a challenging task as the readers’ interest might vary widely from a student in audiology, to a hearing care professional busy in daily practice, to a researcher in audiology who would like to have more details about the potential benefit of this new technology and also about the methodology used to evaluate its performance. We have already covered the most important aspects of DAC with our Topics in Amplification and White Paper (available by direct link with professional login) so it is easy to understand what the feature does and how it can be used in a clinical setting. These papers cover a wide range of topics, including the theoretical background, the integration into the hearing aid, the clinical benefit, and how to fine-tune DAC using the controls in Oasisnxt. With all of this information, there was not a lot of space left to go deeper into the details about the technical evaluation methods. So we used the opportunity to present the DAC technical evaluation methods and some measurement results at the annual Speech in Noise Workshop (SpiN) held in Glasgow, Scotland in January this year. This was a great moment, not only to present our results, but also to meet some colleagues and get some feedback about what we did. The workshop gathered many researchers from different universities and from the industry who are all working on speech understanding in degraded conditions. 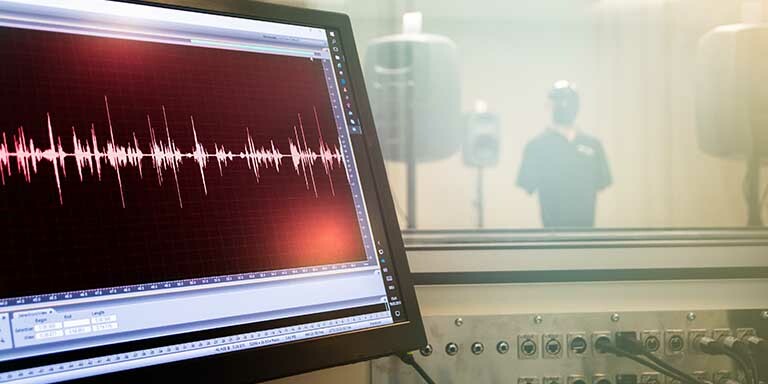 Through this common interest, researchers from different backgrounds such as engineering, audiology, linguistics, neuroscience, and psychology, came together to describe, measure, and understand the different aspects of speech in noise. Another motivation for presenting our work was also to share enough information so that the experiment can be reproduced in different environments. This allows us to get some constructive feedback when the experiment is re-run and gives us the chance to discover other aspects of our own technology. Our presentation focused on the technical evaluation of DAC by measuring its effects on the hearing aid output signal-to-noise ratio (SNR) and also on the speech envelope. We can see DAC as a SNR driven compression system instead of a conventional level dependent compression system. DAC allows the amplification unit to know what type of signal is coming in so that it applies the appropriate amplification. Adjusting the gain with more knowledge about the signal type that will be amplified, should make the hearing aid more comfortable when listening in noisy situations. We also showed how to objectively measure the effect of the SNR compression by comparing the hearing aid output SNR and the envelope difference of a recorded signal in different conditions. We found that DAC gave the best SNR at the hearing output for all the incoming SNRs with both closed and open acoustics. Additionally, the workshop was a great place to update my knowledge with new findings from research in speech perception. An interesting presentation was made by Michael Richter, from John Moores University Liverpool, about the impact of motivation on listening effort during different tests. His results show that by increasing the listening situation difficulty (e.g. by adding background noise), we will observe an increased listening effort up to a certain point. When it is so difficult that the listener knows that he won’t succeed, then he will disengage all the listening effort and give up. It was quite interesting to see the evidence as it is a phenomena that we can observe when we use tests that are too difficult for many individuals in a clinical or a research setting. I find these moments at different meetings to be very beneficial - when we receive confirmation that matches our suspicions from our experience with hearing-impaired people. Attending this workshop with high quality presenters from different disciplines was a very good opportunity for me to get inspiration for our upcoming Bernafon projects, to update my knowledge, and also to discover some other aspects of speech research. It was also a good opportunity to exchange ideas about our work and results. I received some interesting comments that will be shared here with my colleagues and used later to further improve our technology. If you would like to have a look at our poster presentation, you can download the poster from our Download Center here. 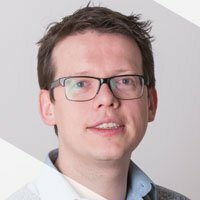 Christophe is a Clinical Research Audiologist and has worked for Bernafon since 2011. He contributes to various aspects of development like working on concepts, running clinical trials, and analyzing data. Besides his activities with Bernafon, he teaches research methods and statistics at the University of Lyon. In his private time, Christophe likes to play music and volunteer for a hearing impaired association. Bernafon introduces Viron, the first True Environment Processing™ hearing instrument in the industry and presents the benefits. This post can be used as a basic introduction for how to measure the effect of different algorithms like DAC™. Extend it to your own test cases. Several interesting results from a study including this one: compression systems like ChannelFree™ may enhance the perception of music for some instruments.